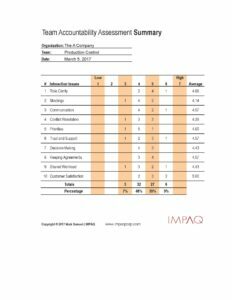 Low scores in employee engagement or satisfaction? Team members who play the “blame-game” or avoid taking initiative to solve problems? Team members in conflict with poor communication? Too many priorities and not enough time? Pressure to accomplish more, with less resources or to reduce operating costs? Poor internal customer service between functional areas? A discouraged or dissatisfied group of team members? Ineffective meetings that are too long and accomplish too little? Managers who don't engage their employees or listen to their input? Then Meaningful Employee Engagement™ Is For You! 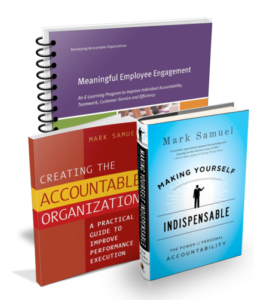 If you have experienced any of the above frustrations, Meaningful Employee Engagement: Building Accountability for Managers and Their Teams (MEE) is for you. You will not only reduce those frustrations, you will achieve a higher level of success in achieving your desired goals. Are you ready to engage employees to dramatically improve performance communication and teamwork? If yes, then MEE is for you! Why is Meaningful Employee Engagement™ So Effective? MEE is based on over 25 years of implementing personal and team accountability to improve performance, teamwork, and morale in organizations all over the world. Mark Samuel and his team of highly trained consultants have led the transformation of organizations and teams using the practices contained in this self-learning team system. Now these powerful principles for achieving success are available to you for a fraction of the cost of hiring external consultants to come into your organization. Based on Mark’s famous, Personal Accountability Model, MEE is used for transforming individuals and teams from the “victim loop” to the “Accountability Loop” for improving performance, communication, and team execution. 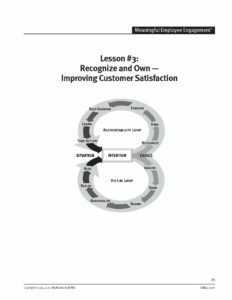 Each lesson is designed to guide you with practical and easy steps for improving customer service, decreasing costs, improving productivity, enhancing quality, and increasing the level of accountable teamwork. What Makes it So Easy to Get Results? Use MEE as a part of your normal team meetings. As long as you meet at least once per month, you can implement this series and within 4 to 7 months and experience measurable improvement in performance, communication, customer service and teamwork. It’s that simple. Using the self-paced online video, you and your team get the guidance you need to be able to complete a lesson in 30 to 60 minutes of a regular team meeting. 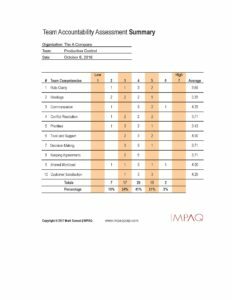 With the added support of an easy-to-use workbook for each team member, you will facilitate your own brainstorming, assessment, and commitment discussions. At the end of each lesson plan, you will agree on actions that you will email your internal HR or Change Agent Team. The Leadership Guide has the instructions for what information to provide. We all know that training is best achieved when there is an on-site instructor who can answer questions, model changes, and help solve challenges. But there is a significant cost associated with travel expenses, space, participant time to attend, given their busy schedules and contracting with external presenters. Now for less than $100 per person, you can get the best of both worlds; flexibility and personalized coaching. What if my team is bigger than 10 people? No problem. We have packages for 15, 20, 25 and 30 people and you can call us for special sized group pricing for over 30. But what if my team has 5 or less people? No problem. We have a package price for teams of 5 or less for $695. And, this price includes all of the features and benefits listed above, including the Team Accountability Assessment and The Personal Accountability Card. minute Personal and Organizational Accountability Tests.